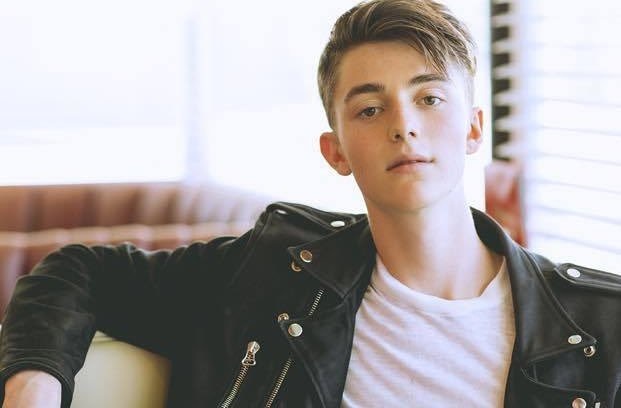 Greyson Chance took to instagram on Thursday, July 20, to proclaim that he is a gay man. In his heartfelt lengthy post, the 19-year-old singer explained his decision for coming out and why he had decided to kept his real sexuality for so long. "The decision to write this came after I received a message from a brave individual. Such message inspired me to shed light on an aspect of my private life which I have kept distant from my career in musis" he wrote with a photo of the rainbow LGBT pride flag. He continued: "I came to fully recognise that I was gay when I was 16. I decided not to publicise my sexuality largely due to a matter of privacy, as I was still trying to find comfort and confidence within my own skin. Further, I always found conversations regarding music, politics, art, books – and the greatness of Nas’ catalog – to be far more interesting than what type of guy I was into. This is still true today." "While this message is most definitely overdue, I encourage anyone who is navigating their sexuality to devote as much time as they need to the process of finding self-confidence, self-acceptance, and self-love. Hell, for me, it took years to write this message. Nevertheless, I figured now was the time to let a few more friends know that I am happy, I am here for you, and I am proud of who I am."